BEA Lasers has a new complete Alignment Laser System with variable laser light output. These new laser systems with variable output are ideal for short distances. The dimming feature provides greater flexibility when aligning objects against different backgrounds, such as dark, light, chrome or other shiny surfaces. The new Alignment Laser Systems are also ideal for variable work conditions where lighting and/or the alignment surfaces change or are uncertain. 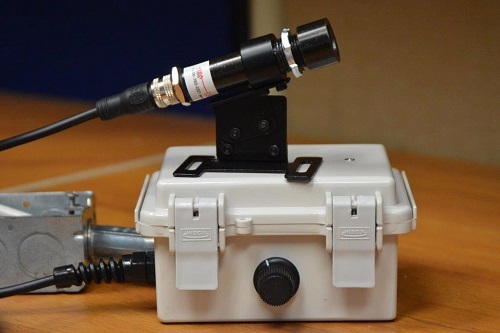 The system includes a rugged housing fitted with a M12 connector, PVC-jacketed cable 2 meters long, and a power supply. A choice of mounting hardware is provided: either a sensor style bracket or multi-adjustable “LB” bracket. Lasers are available in red or green, and each with a line or dot optic. Lasers are rated as Class II laser products. All models are FDA compliant. Price discounts are provided for orders of 1,000 or more units. Custom modifications are available and can be quoted upon request.